Breathe easy, it’s here...The right mask at the right price! Economically priced. Tried and true. TruAir® answers the call for cost effective respiratory protection, in a traditionally designed respirator. TruAir® respirators come with a large, molded shell that makes breathing easier. Plus, comfort features such as a soft, foam nosepiece; non-latex, elastic head straps; and an adjustable nose clip ensure that TruAir® provides a snug fit that workers will wear – all day. NIOSH approved, the TruAir® family of respirators comes in three levels of protection – TruAir® offers N95 level filtration, TruAir® Plus provides N99 filtration, and TruAir Ultra supplies P100 class protection. • Widely accepted design that encourages compliance. 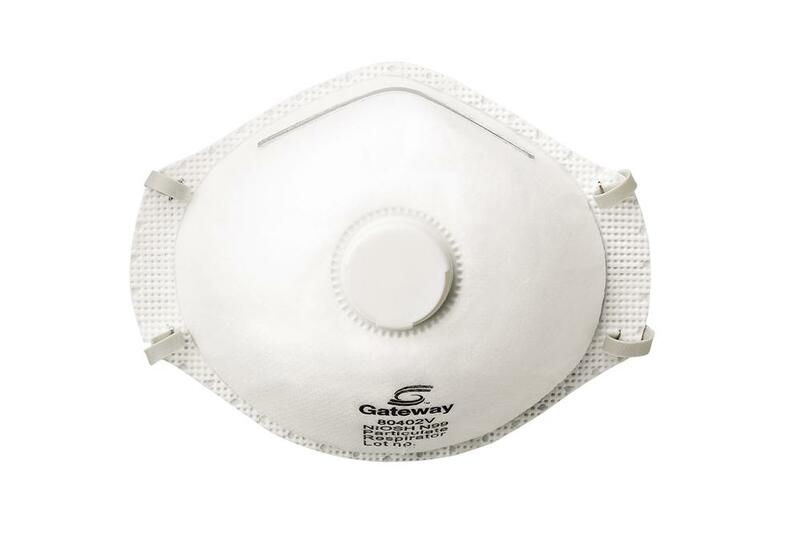 • Large, molded shell that helps to reduce breathing resistance, minimizing end-user fatigue. • Non-latex, elastic head straps, plus an adjustable nosepiece, provide a safe, secure fit. • Available with an exhalation vent that reduces hot air buildup; makes breathing easier.